The current single from Eamonn Dowd has taken his music to a new level. Described by award winning journalist / poet / author Olaf Tyaransen, writer for Rolling Stone, Penthouse, Mojo & Hot Press as "one of the great survivors of Irish rock n roll." He was probably one of the first musicians to keep a blog back in 1999 , before they coined the phrase and has been recording and touring continuously all over the world for the last 20 years. "When Eamonn takes the stage, the ghosts of Joe Strummer and Johnny Cash appear, he is a striking figure with something showbiz, something vaudevillian in his bones" writes John Fleming of the Irish Times. These words define Eamonn as the great musician he is .....and also his music. The new single Second Glance from the EP Feudal Times captures the essence of all that, It's beautiful written and performed with The Last Souls, and when feeling happy, stressed, down, confused..... just put it on and turn up the volume! It will make you feel alive or if not alive it will definitely make you feel something. ​Digital copies can be downloaded at cdbaby.com or bandcamp for only $0,99. The default download format is MP3, but you can also download in FLAC, ALAC (Apple Lossless), AAC, Ogg Vorbis, WAV and AIFF formats. If you use spotify you can easily import the download to your Spotify player. Would you prefer a physical copy instead? Eamonn Dowd was D.I.Y. before it was cool , or indeed necessary to be DIY. A long time proponent of Limited Edition release's, lathe-cut novelty 7 inch singles, a cassette only release from 2012 and CD's in special covers, he's always had that independent maverick quality, and the E.P. from which Second Glance comes is no exception, coming in a beautifully packaged hand stamped, wax sealed cover. Inside you'll find a full colour 4 page fold out sleeve. 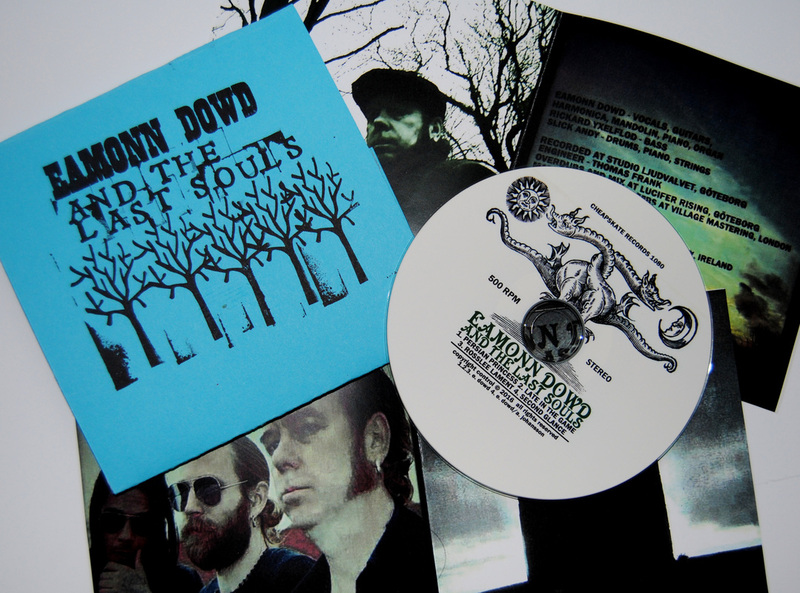 The physical CD's are available to purchase at eamonndowd.com ONLY! Make sure you don't miss this opportunity before they sell out.